Listen to Freakanomics over the course of a year and you will be shocked by the range of topics Dubner covers. This podcast takes the essays and books to the next level. Whether it be the economics of sports, in-depth interviews with CEOs who are not normally accessible- including an amazing interview with former Goldman Sachs COO and former Trump economic advisor Gary Cohn - to the role of creativity in business and in success. Iâve listened for awhile but felt compelled to write this review after the episode this week where Spotify was center stage through an interview with founder Daniel Ek. Seriously the most interesting interview Iâve heard given the evolution of Spotify and Ek to a company no longer strictly interested in meeting the demands of masses of music fans but to a whole new ethos where audiobooks and healthcare can be woven into the model. Dubner, thanks for keeping it fresh! This is my favorite podcast. I am constantly entertained and learning something new. Even when a subject seems like something I wouldnât find interesting, somehow,I always get sucked into the âstoryâ. The best podcast and my favorite... I am def a podcast junkie. Steve is a fabulous at what he does and the topics and guest never fail. When itâs good itâs really good, but sometimes it feels like Stephen Dubner is just trying to fill time. I generally prefer the one-off episodes to the series theyâve been doing recently. The show used to be thought provoking. Now itâs just some guy interviewing nice but slightly uninteresting friends. Love this podcast. Information and challenging concepts are presented in such an entertaining fashion. 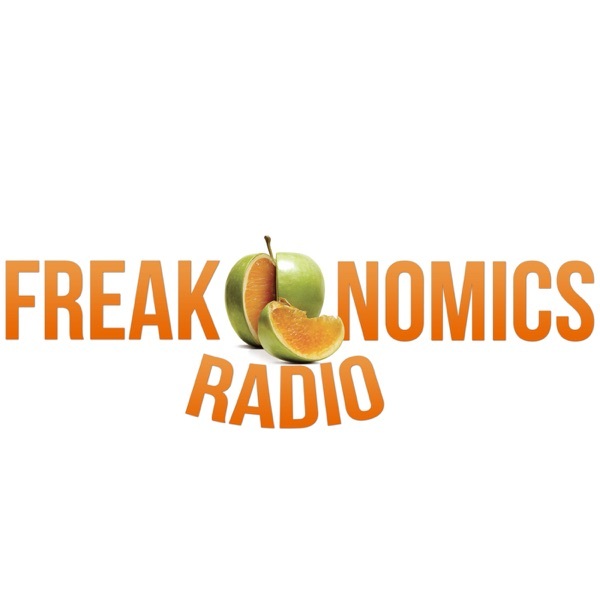 One of the best Freakonomics episodes EVER! I wish he was our President! I used to enjoy listening to this podcast, but the quality of this podcast has greatly gone downhill over the last two years and now most of the episodes are boring. Additionally, whenever this host interviews someone that's famous, he never asks any tough questions and he lets the other person fully control the narrative. It's almost as if he's trying to become buddies with the famous people he interviews. You ever come across one of those types of people that insist on putting the emphAAAsis on a different syllAAAble to let you know how smart and cultured they are? Do you find it even more annoying when the word is from another language and theyâre still pronouncing it wrong? Yeah, well, this dude does this constantly. Cherry-picks science and pushes nonsense social issues too. I thought it was just me, but looks like I'm not the only one who thinks Freakonomics Radio has really gone downhill in the past year. It no longer covers the variety of topics it once did. It's gotten more and more repetitive (and I'm not even referring to the CEO or sports series, which were only moderately interesting). The interview format is dull, and I many episodes are re-runs (but show notes -- at least in iTunes -- don't necessarily always indicate that an episode is a rerun - Frustrating.) The episode on Andy Yang was decent, as were the ones on the future of meat and on Trader Joe's. (At least they weren't about sports!) Years ago, Freakonomics Radio was one of my first (and favorite) introductions into the podcast world, but I'm sorry to say it no longer stands out in the crowd. Keep up the good work and thank you!!!! Being a college student, I love listening to this on my way to class or even when I'm doing homework. It's so intresting to learn new information that isn't easy to find out without research, and so many of these topics have came up in my personal conversations ! I have long been a fan of Freakonomics, having first been introduced by buying and reading the first book. These guys have a gift at breaking common assumptions about issues and looking at a topic in an innovative and revealing way.Now, I think Dubner is becoming one of the best interviewers out there. For example, the range of topics he covered recently with Dominique Foxworth was amazing. Keep up the enlightenment, fellas! This should be labeled as if for entertainment purposes only. Expert opinions are often unchallenged, and thus can be interpreted as if fact. Host consistently asks leading questions of the listener, and only sometimes are all critical factors mentioned on a given topic.This is not to say the host lies at all, he certainly does not, but he makes little effort to keep experts honest, whether during an interview or during narration, when they provide fuzzy or disproven data.Even as a self-described progressive, I feel many episodes have an unfair, covert bias that defaults forward-thinking ideas as solutions. Unfortunately, the best episodes are usually the ones about historical occurrences and how they influenced us. I learn something new about all sorts of subjects that I would have never learned in school. Itâs a fun way to learn! This program use to be phenomenal, with new and interesting topics that had significant influence and importance about our world. Not itâs nothing more than a talk show catering to the team owners. Freakomics would be better to move to stitcher, or another paid service. This saves us from dealing with constant disappointment over the new direction of the show, and opens up time for better economic shows such as the indicator and planet money to take over. This latest never ending series of sports episodes is wearing me out. One of my favorite things about this podcast is the variety of topics. Mix it up again please Dubner! The podcast stories are great topics but there is always the politically correct/ mainstream media slant that is interjected. Stay with the objective, informative discussion. Listeners can watch TV to get the slant. Why oh why has Freakonomics become nothing but sports? I've grown very tired of it! What happened to a variety of topics guys? Please do some more episodes about anything else for a change for your listeners that are not sports fans. This podcast is all about sports anymore. Not much general economic. Too much single niche. I am unsubscribing. Continuously using the same few sound bits for several sports episodes. Very repetitive hearing the same stories in different episodes by the same Publisher. When I saw that moronic libs seem to hate this, I decided to give it a try and it was great! I have learned so much. I love that the questions Iâm thinking in my head get asked, and I love learning about how these things affect our daily lives. Admittedly, I do already enjoy economics, but I think this is a bit of brain candy for anyone whoâs interested in learning more about the world around them and how the puzzle pieces fit together. This show went from really cool economic tidbits and analysis of different issues to liberal leaning bios and pop-psychology.How did we get from a great show like what conservative and liberal economists agree on to the current run of shows we are on?Very disappointed. Hope it turns around. Since gimlet acquisition, Steven dubner has just gotten lazy. Unsubscribed. Seriously. I loved freakenomics radio. I read the book, read the sequel, listened to the podcast religiously, but the past year this podcast has just gotten terrible. As I type this I am listening to Steven broadcast his rock paper scissors game. He is on his 5th game. Really? This is the only content you can come up with? Other episodes like that interview with the sports guy â it was just terrible. Like he has an obligation to publish something â anything. I feel like he just does not care anymore. Maybe my expectations have gone up after listening to radio lab, or planet money or Ted talks. Hopefully he got a good payout when he sold the podcast. Unsubscribed. Freakonomics is great. But I wish they would break the interview episodes and âtell me something I donât knowâ episodes into a separate podcast. I used to really enjoy the podcast but in the past year I have intentionally skipped the weekly podcast. The constant re-runs of old episodes starts to get annoying. The creative and interesting topics have been replaced with overlong interviews with sports figures or CEOs, sometimes repeatedly mixing cuts of previous episode interviews in with new episodes. It just feels low effort and repetitive most of the time. The only reason why I continue to subscribe is because sometimes a glimmer of this podcastâs former glory shows through... but more likely they just replay the Grit episode yet again. Why this man is running for President. Everyone needs to listen to this and remember the name of Andrew Yang. He had real policy solutions for the problems of the United States!!! Its easy to 5 star a podcast that 'speaks your language' or is on a topic you are extremely interested in, but I'm barely intersted in socioeconomics on any level, however, more often than not I end up coming away from these podcasts having learned something valuable. After a year of listening, I can safely highly recommend this podcast, even if you don't think you care much about socioeconomic issues. Always interesting and often insightful. Canât say enough about this podcast. This show use to be insightful and educational. Nowadays, it's all about boring interviews and reruns. The episode about "Grit" was downloaded to my feed at least 4 times. Sorry to see this show is going down like this, I will move on. Most episodes are thought provoking,but others are objectionable. One guest started talking about a racist and a non-racist. Then all of a sudden the racist was conservative and the other was a democrat. Very interesting when the actual results of the pertinent study showed evidence for the opposite conclusion. This was not mentioned.That along with another guest's gratuitous vulgarity was off putting to say the least. I am combing through the history to make sure I listen to every episode. But I canât stand the new approach of the live radio episodes. I really enjoy this podcast. It makes me think critically about things in a new way. It seems more balanced than some of the other podcasts I listen to about our world. Always learning something new here. Great analysis and it is obvious these guys do their homework. Not the same old shtick, they find a new creative angles on historic norms. I was a fan of Dubner, et alâs work until a series of podcasts with Charles Koch & on Libertarianism. He unfortunately lost his objective & critical edge in these interviews, allowing the intervieweesâ statements to go unchallenged far too often. Their viewpoint is also more and more notably white, name & middle-upper class which makes their show less and less interesting. Agree with previous comments that if you want a more economics-focused & less âmy opinion with some economics behind itâ focused discussion go to NPRâs Planet Money. Generally I love this podcast, but one of my favourite shows within it is the Tell Me Something I Donât Know. I am thrilled that a bunch of intellectual elites got together and managed to create something thatâs so intellectually stimulating while being incredibly fun and humorous and interesting. Bravo! One of my favorite podcasts. Have just listened to some live episodes. Entertaining and educational! I actually look forward to the 7 hour drive from the Bay Area to Orange County because I can binge on Freakonomics! Dubner is a brilliant interviewer, asks the tough questions in such a disarming manner. And the topics range so far and wide. Who knew the whole world revolved around social economics! Love the NEW episodes and Love the podcast overall!!! Lately these LAZY REPLAYS are getting arduous!! TOO MANY!!! I look forward to episodes only to find itâs a REPLAY!!!! Great show. Soothing voice and interesting and relevant information, but PLEASE PRONOUNCE YOUR Ls IN THE WORD ALMOND (Trader Joes episode).